Lars has won several first prizes at international competitions such as the “International Competition for Youth” (Lisbon 1994) and the “RTBF Jeunes Solistes” (Brussels 1993). In 1999 he made his début in the Amsterdam Concertgebouw and performed very successfully as a Rising Star in the so named concert series in 2001-2002. Since then, Lars has played in major venues such as Carnegie Hall New York, Wigmore Hall London, Musik Verein Vienna, Cité de la Musique Paris and Philharmonie Berlin. 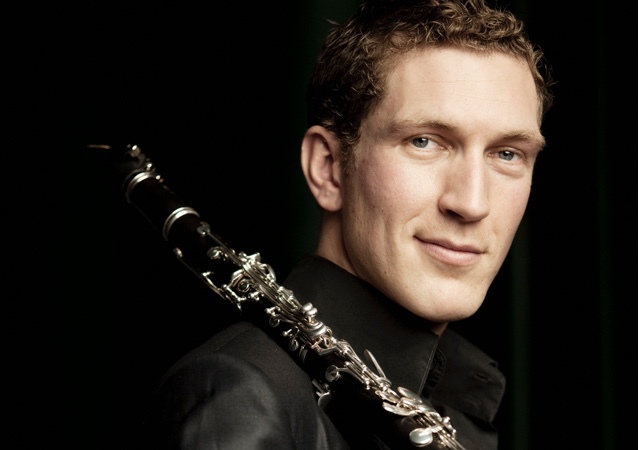 He has appeared as a soloist with orchestras such as the Rotterdam Philharmonic, Chamber Orchestra of the Netherlands, Netherlands Radio Chamber Orchestra and Amsterdam Sinfonietta. He performed and recorded the world premiere of the Clarinet Concerto “Yellow Darkness” by Willem Jeths, written for him. Lars has been a member of Spectrum Concerts Berlin since 2000 and the Dutch ensembles Lunapark, Nieuw Amsterdams Peil and the Orlando Wind Quintet. He has performed with string quartets and ensembles such as Skampa Quartet, Quatuor Danel, Quatuor Ebène, and Altenberg Trio Wien. In 2003, Lars was awarded an “Edison” for his début CD. Other CD’s followed, with music by Dohnányi, MacMillan, Mamlok and Hindemith. In 2009 and 2011, Challenge Records released his CD with the Reger and Brahms sonatas, which received outstanding reviews by the international music press.